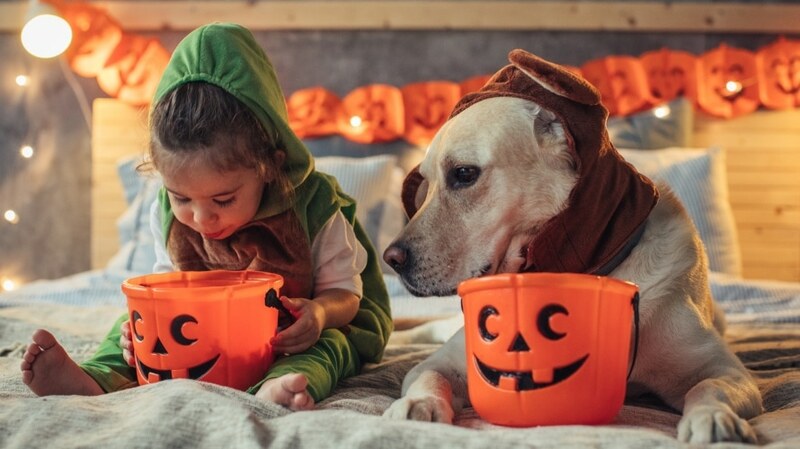 Halloween and Labor Day were Hot Topics on Facebook in September, and the two holidays also heated up Instagram, but in reverse order, according to Facebook IQ, the social network’s research arm. 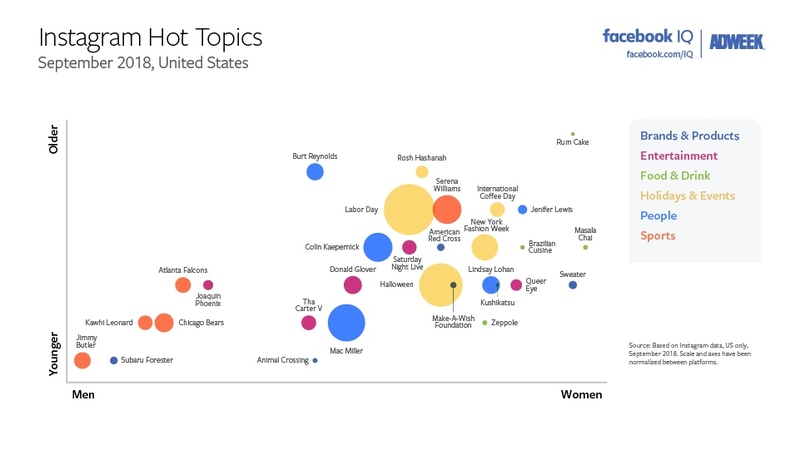 Colin Kaepernick and the late Mac Miller were hot topics on both platforms in the people category, with Kaepernick holding a slight edge on Facebook and Miller doing so on Instagram. In the entertainment category, Eminem and Kevin Hart resonated on Facebook, while Instagram users chatted about Donald Glover and Saturday Night Live. 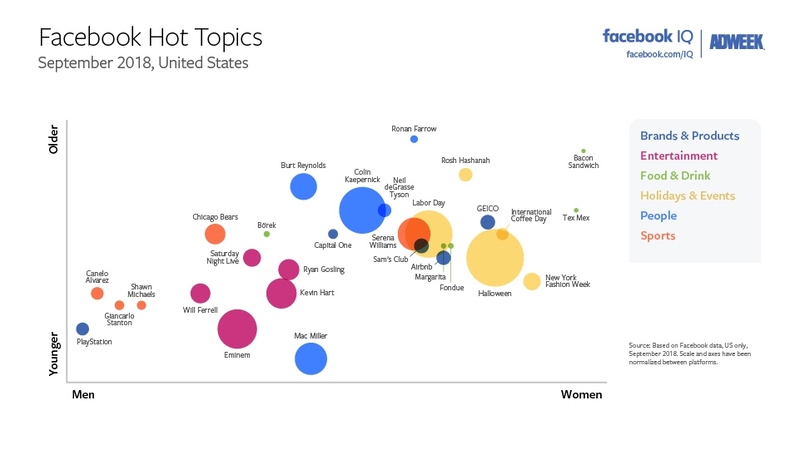 Serena Williams and the National Football League’s Chicago Bears were sports hot topics on both Facebook and Instagram for September. On the brands and products front, Geico and Airbnb topped Facebook last month, while Instagrammers discussed the American Red Cross and the Subaru Forester. Finally, in the food and drink category, Facebook users were hungry for bacon sandwiches and Tex-Mex in September, while people on Instagram turned their attention to Brazilian cuisine and masala chai.